Reprinted with permission from the Niagara Falls Reporter. John Kerry and the Democrats are off to a good start and their convention provided some fine speeches and messages that should resonate with the American people. But the most intriguing and perhaps best speech I heard last week came from a Republican, President Dwight D. Eisenhower. The joys of channel-surfing and C-Span brought me to Ike's acceptance speech when nominated for a second term at the 1956 Republican National Convention at the Cow Palace in San Francisco. Eisenhower spoke eloquently about the future of his party in that year when the GOP was marking its 100th anniversary. Many sensible themes Eisenhower offered that night could provide the Democrats of today with messages appealing especially to independent voters and older Americans. 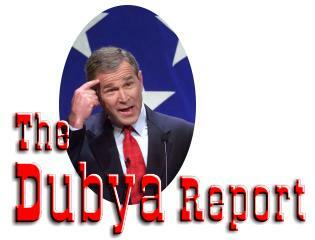 Kerry did well in his speech, pointing to the need to depart from Bush's disastrous deceptions. "We have it in our power to change the world again, but only if we're true to our ideals and that starts by telling the truth to the American people," the Democratic nominee said in his acceptance speech. "That is my first pledge to you tonight. As president, I will restore trust and credibility to the White House." Other Democrats offered views on the truth-challenged Bush administration and how the serial lying has eroded the quality of our democracy and insults the nature of our republic. Former President Jimmy Carter pointed right at Bush's misleading the American people into a war of choice. "Truth is the foundation of our global leadership, but our credibility has been shattered," Carter said. "Without truth, without trust, America cannot flourish. Trust is at the very heart of our democracy, the sacred covenant between the president and the people. When that trust is violated, the bonds that hold our republic together begin to weaken." Barack Obama, the keynote speaker and Democratic candidate for the Senate from Illinois, did a fine job of describing the poisonous political atmosphere Bush and company have created. "In the end, that's what this election is all about: Do we participate in a politics of cynicism or a politics of hope? ... This country will reclaim its promise and out of this long political darkness a brighter day will come," he said. Former President Bill Clinton reminded delegates that both candidates are strong men who love their country but have markedly different views of the world. "Our nominee, John Kerry, favors shared responsibility, shared opportunities, and more global cooperation, and their president and their party in Congress favor concentrated wealth and power, leaving people to fend for themselves and more unilateral action," Clinton said. He also reminded us that national unity is poison for Republican plans: "They need a divided America." Dwight Eisenhower's view was that the Republican Party should be inclusive and inviting for all Americans. He said, "The Republican Party is the party of the future because it is the party that draws people together, not drives people apart." Karl Rove, President Bush's political brain, and the right-wing religious wackos he uses as his surrogates for division would drive Eisenhower right out of their Republican Party. Ike also said on that night in San Francisco, "Our party detests the technique of pitting group against group for cheap political advantage." That strategy, sadly, has become the mantra of a Republican Party Ike certainly did not envision and would find repugnant. Former House Speaker Newt Gingrich is playing the division game in earnest. According to a report in "The Hill," Gingrich is out drumming up wedge issues and encouraging Republicans in Congress to pounce on anything that will divide to gain temporary advantage over the Democrats. One GOP legislator told "The Hill" that "Gingrich encouraged Republicans to pick issues such as school prayer, strengthening work requirements for welfare recipients, and barring the United Nations from monitoring U.S. elections." Gingrich and his comrades are looking for anything where they can show a contrast. They'll include with the above gay rights and gay marriage, flag-burning, and anything else they can come up with to paint the Democrats as out of touch with mainstream America on a variety of cultural and social issues. This politics of desperation is an attempt to divert the public's attention from the mess in Iraq, the sputtering economy and Bush's horrific record on job creation. Dwight Eisenhower was everything George W. Bush is not. Ike was self-made, accomplished, worldly and thoughtful. He would find George W.'s impetuous, visceral, bullying approach to the world reckless and foolhardy. Bush's disdain for the United Nations, our NATO allies, and really any nation that took issue with his obsession with Iraq would leave Ike chilled. In his acceptance speech at the 1956 Republican National Convention, Eisenhower spoke of the heart of collective security resting on the principle that strength is not military strength alone. He said, "It lies rather in the unity that comes of the voluntary association of nations which, however diverse, are developing their own capacities and asserting their own national destinies in a world of freedom and mutual respect." And with the experience of a man who had seen the horrors of war firsthand and knew the limitations of military actions, he added, "There can be no enduring peace for any nation while other nations suffer privation, oppression and a sense of injustice and despair." And in words that would make George W. cringe, Eisenhower urged that the Republican Party of the future "must be completely dedicated to peace, as indeed must all Americans. For without peace there is no future." Eisenhower, who classically reminded us of the dangers of the military-industrial complex as he left office, would find the Bush-Cheney melding of foreign policy and military action for the profit of their corporate clients appalling and dangerous. It would grieve him that the very unholy alliances he warned us of had literally taken control of the Republican Party. As Bush and company look for more weapons systems and reasons to justify their use, Eisenhower provided us with a far more restrained, prudent and realistic vision of the use of armaments as instruments of America's dominant role in the world. He told the 1956 GOP Convention, "We have worked unceasingly for the promotion of effective steps in disarmament so that the labor of men could with confidence be devoted to their own improvement rather than wasted in the building of engines of destruction." A line like that at George Bush's second nominating convention would get the speaker booed off the podium. All Americans would do well to heed Eisenhower's vision and reflect again on the great sense he made nearly half a century ago. The youngest Americans who actually voted for Ike are now 70 and over, but that's one of the fastest-growing segments of our population. They and other Americans who find the sensible moderation of the great warrior who became president appealing can still find a political voice. Eisenhower protected our nation and kept us strong during some of the most difficult days of the Cold War, but he did that soberly and intelligently. The Republican Party under George W. Bush has ventured far away from what Eisenhower envisioned. "I like Ike" was one of the favorite GOP slogans in the '50s. Those who feel like that this year can find a home with John Kerry and the Democrats.